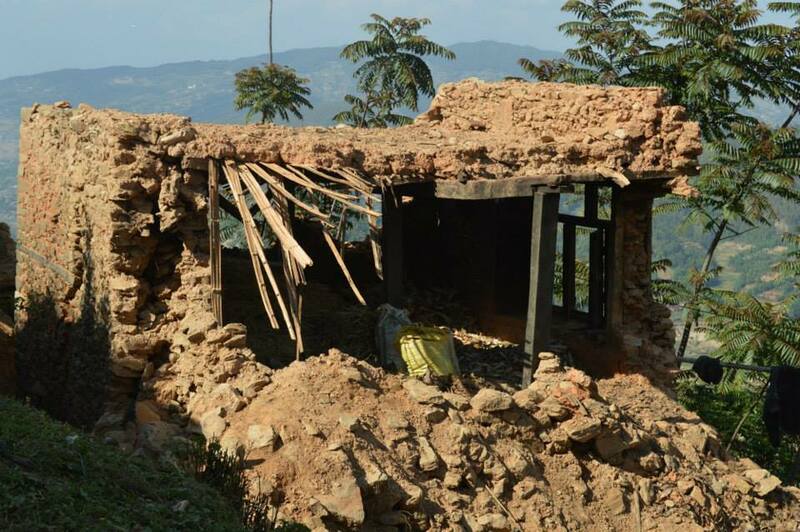 In April, 2015, a 7.8 earthquake struck parts of Nepal, leaving entire communities in ruins. 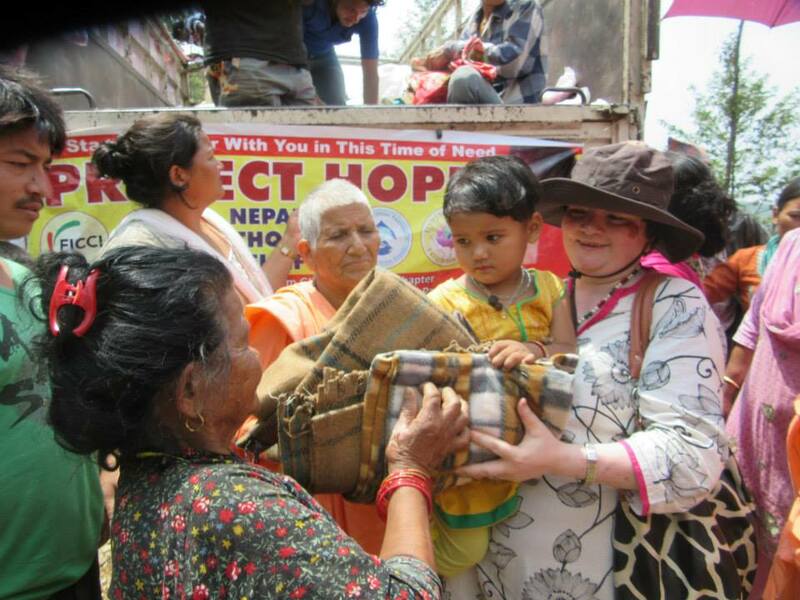 Project Hope, an initiative founded, inspired and led by HH Pujya Swami Chidanand Saraswatiji, was nearly immediately on the scene, rushing three huge trucks of supplies as well as volunteers from Nepal and India to aid thousands of people. 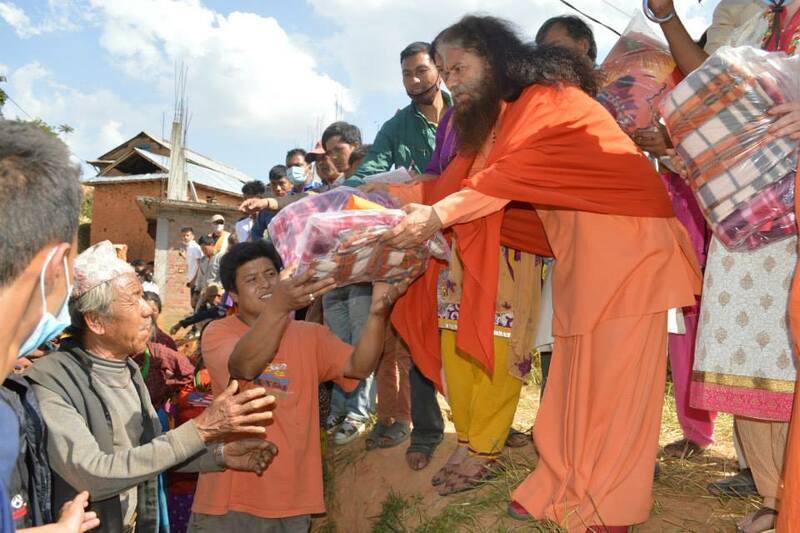 After hearing about the tragic earthquakes that have devastated Nepal, HH Pujya Swami Chidanand Saraswatiji has inspired and led Global Interfaith WASH Alliance, Divine Shakti Foundation and Ganga Action Parivar – along with many other dedicated partners – to work together as one team, under the Project Hope umbrella, with one theme: to serve our brothers and sisters in Nepal during this time of need. 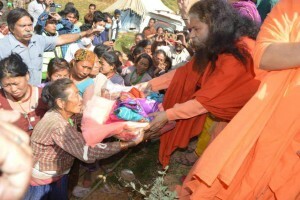 HH Pujya Swami Chidanand Saraswatiji, President of Parmarth Niketan (Rishikesh), Founder of Project Hope, Divine Shakti Foundation, Ganga Action Parivar and Co-founder/Chairman of Global Interfaith WASH Alliance, visited Nepal to bless and oversee Project Hope’s relief and rehabilitation efforts as well as to inspire the Project Hope team who are tirelessly serving under His leadership to bring much needed relief to the survivors of the recent Earthquake. 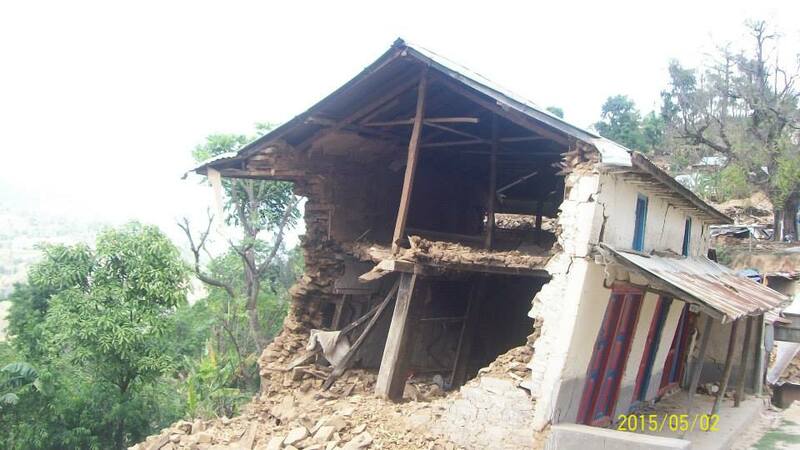 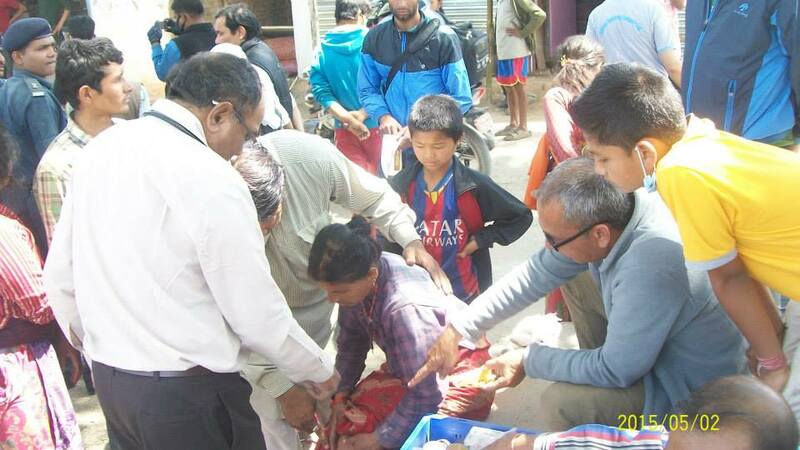 CLICK HERE TO VIEW FROM PHOTOS FROM DSF’S NEPAL RELIEF WORK. 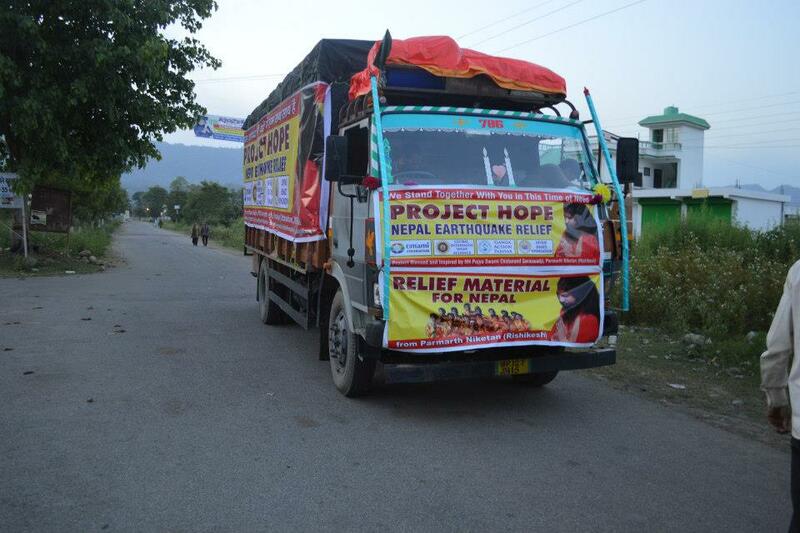 Project Hope dispatched several truck-loads of essential supplies to Nepal directly following the quake and is in constant contact with our team of over 50 volunteers in Nepal, where they are working in the heavily-devastated region of Bhaktpur as well as in the significantly-affected regions of Dhaulikhel and Kathmandu. 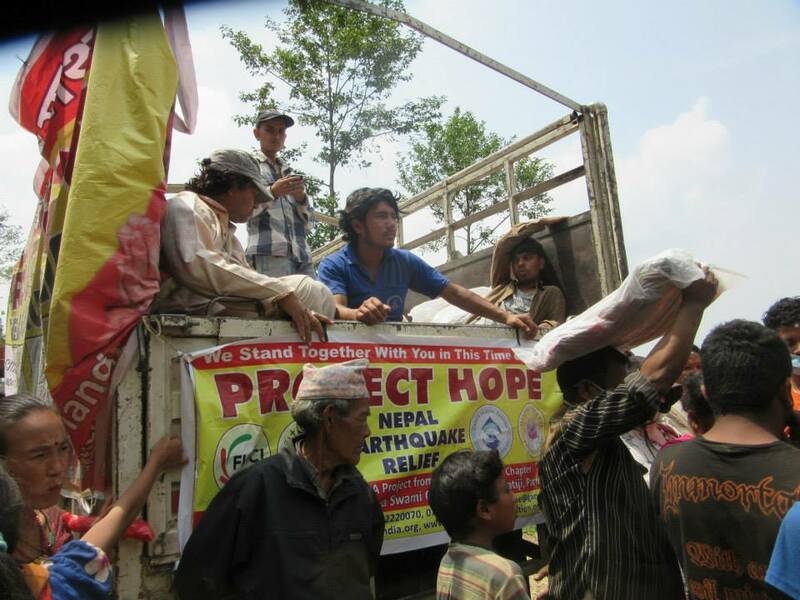 The trucks carried thousands of blankets, hundreds of pairs of new clothes, shoes, solar lanterns, sheltering tarps, daily necessity items such as toothbrushes, toothpaste, soap, food, medicine, and much more. 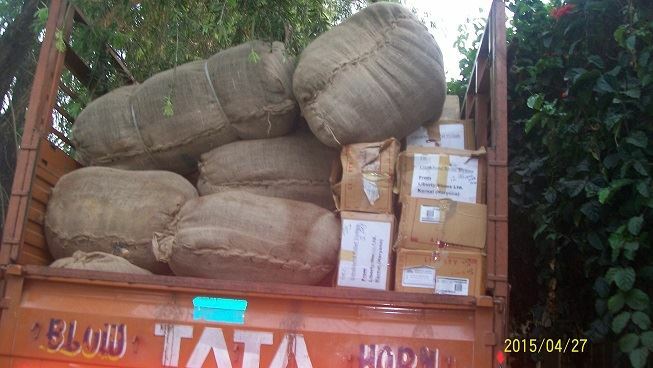 We are deeply thankful to the Emami Foundation for its generous contributions and partnership through which GIWA, GAP and DSF have been able to send many of these necessities. 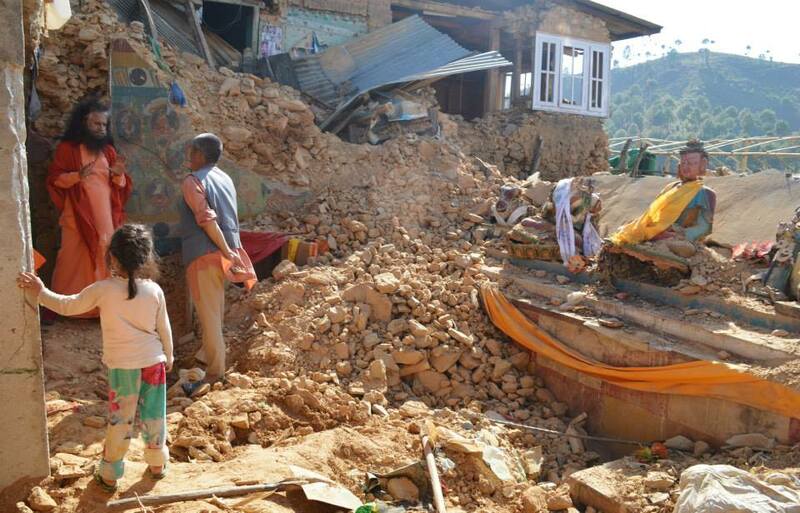 We are also deeply thankful to FICCI and GIWA-NCR Delhi Chapter for sending thousands of water bottles that not only will bring fresh cleaning drinking water to the people of Nepal, but will support hundreds of India’s Army widows, who package the water as their livelihoods. Pujya Swamiji also visited Nepal, soon after the disaster, met with Project Hope volunteers, assessed the relief efforts/rehabilitation plans and personally distributed relief material such as tents, tarpaulins, blankets, solar lanterns, clothes and other necessities to many remote villages in Nepal. 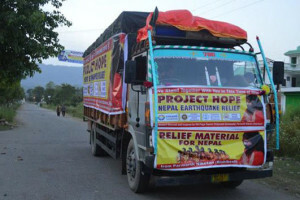 Already three large trucks of relief materials were dispatched, with over 10,000 blankets, 10,000 water bottles, 15,000 packets of daily supplies, 5,000 tents and tarpaulins, foods supplies and many other items which have all been distributed to the needy and affected survivors. 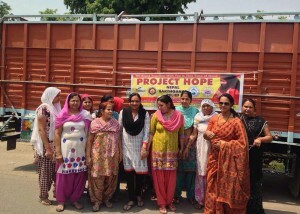 Project Hope is working in close coordination with partners like Emami Foundation, Organic India, FICCI and many others to reach out and touch as many people as possible. 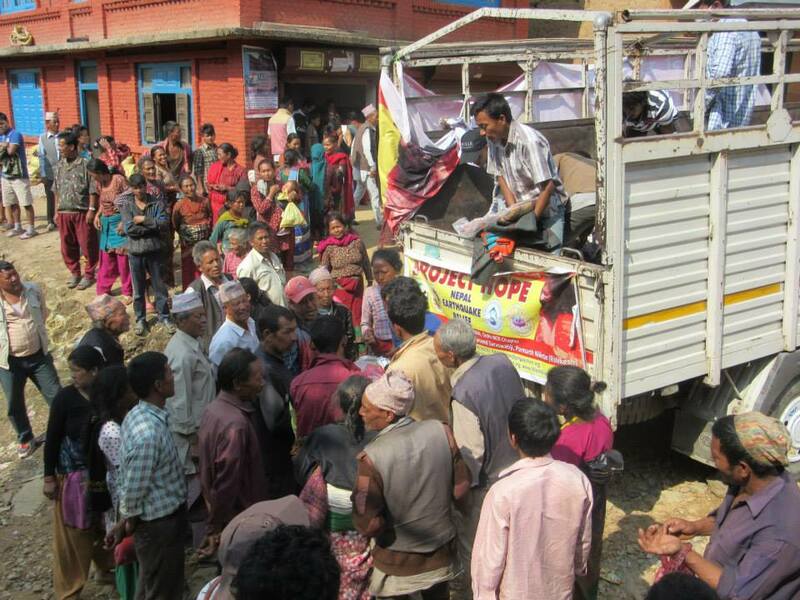 More than 25 villages/towns with over 11,000 families have been served by our dedicated volunteers. 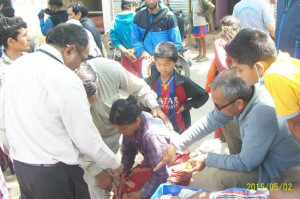 In the wake of the disaster, Project Hope sent teams of healthcare practitioners, including doctors, nurses, a pharmaceutical compounder, and other medical personnel, to serve in Nepal. 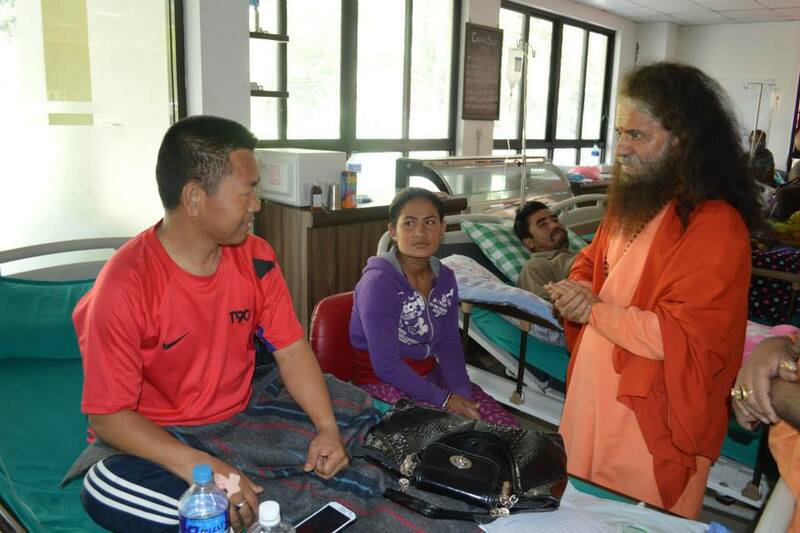 Pujya Swamiji met with our Project Hope team of medical professionals from Gujarat, lead by Shri Vachubhai, who had brought an ambulance and were serving day and night in remote and significantly affected villages of Nepal. 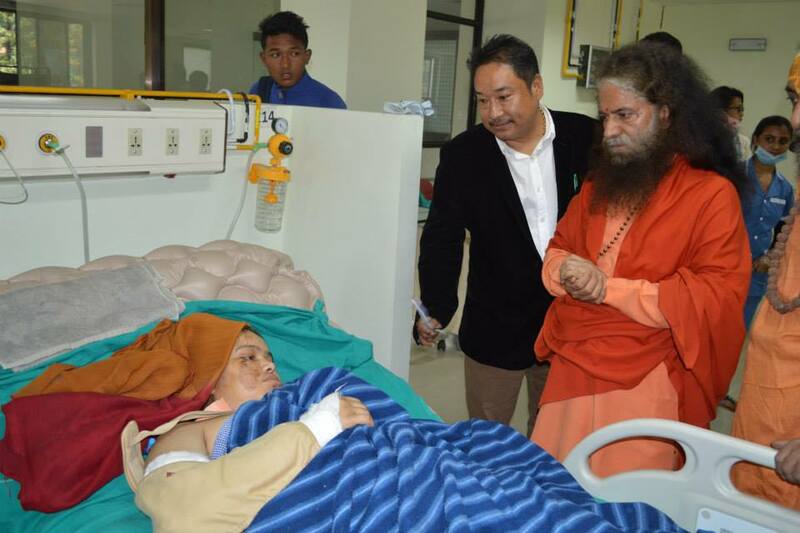 Pujya Swamiji also visited Chirayu National Hospital & Medical Institute and lauded the service that Mr. Sangay Gurungji, founder of the hospital and Medical Coordinator of the Project Hope team, was carrying out to bring quality health-care services to as many needy people as possible. 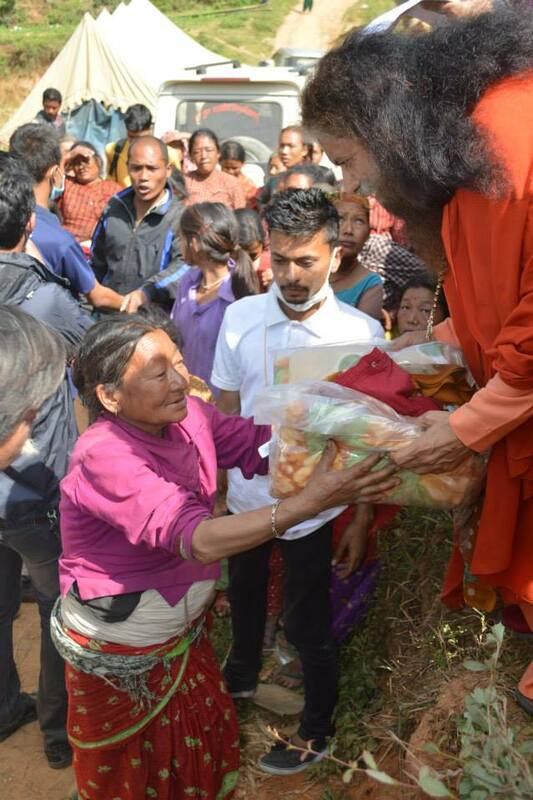 Pujya Swamiji spent time with the patients and also met with doctors, including Orthopaedic Doctors, Surgeons, Paediatricians, Neurosurgeons and many others, and inspired them to keep serving the needy and affected population as well as to encourage their friends and colleagues to join them. 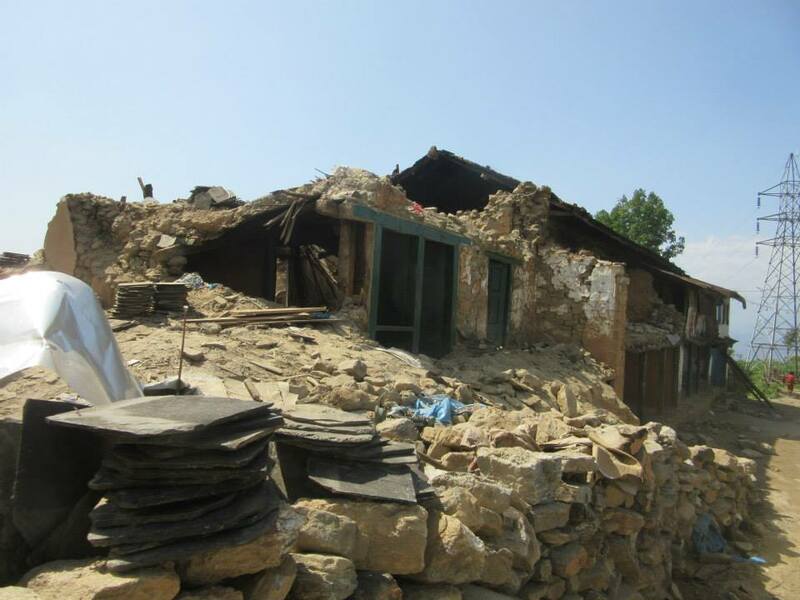 In a village named Sanga, an hour away from Kathmandu, in the mountains of Nepal, the village along with their sacred shrine had been shattered and devastated from the earthquake, with their ancient and beautiful idol of Lord Buddha, other deities, ancient scriptures and texts lying tattered and scattered amid the rubble. It was touching and moving to see that their pain and anguish for their damaged temple was far greater then their equally affected homes and buildings. 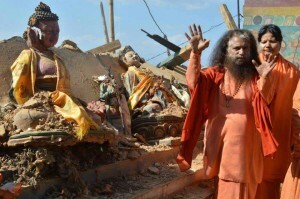 Pujya Swamiji immediately inspired the local community to come together as one community, as one family, and pledge to rebuild their temple on the auspicious occasion of Buddha Purnima. 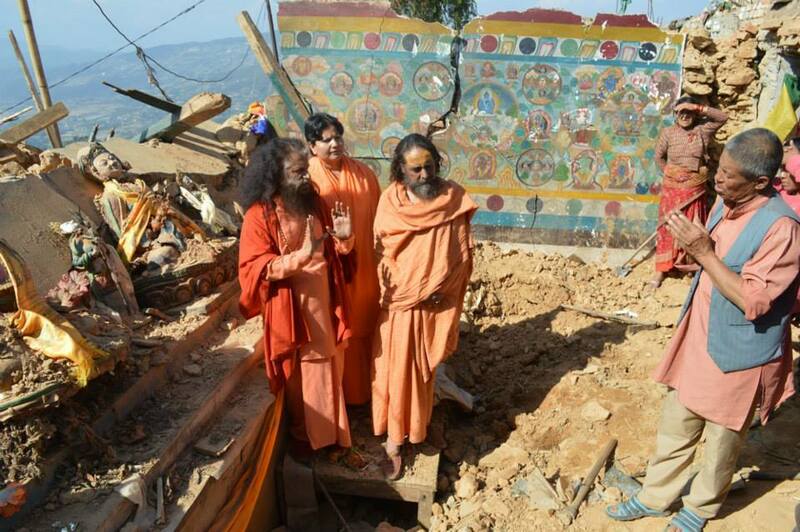 The bhoomi poojan for the temple was carried out recently and the work to rebuild the temple has already been started. 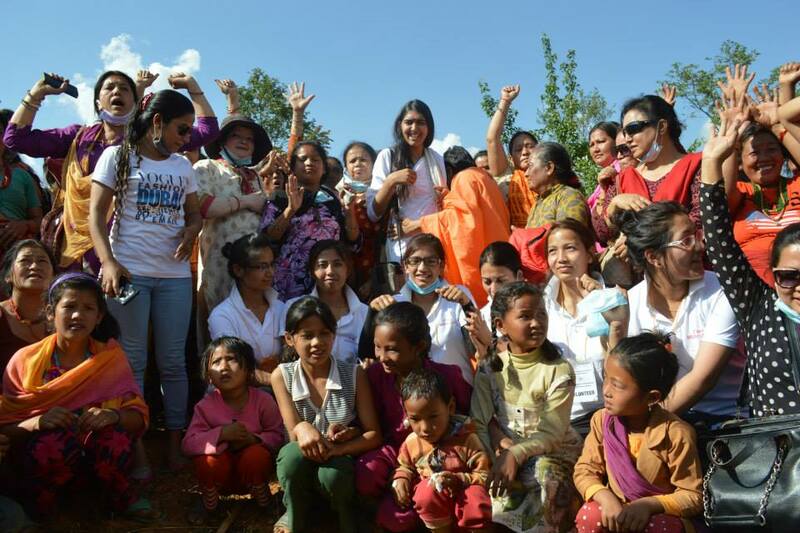 Coordinating WASH (Water, Sanitation and Hygiene) awareness and education in Nepal, especially with the support of Global Interfaith WASH Alliance’s coalition of faith leaders.